Local Muslims want the monastery of Mor Gabriel to be appropriated and divided up among them. They say there used to be a mosque there and have a case with the Turkish Court. The monastery was founded in 397 AD. Islam, of course, was founded in the 7th century. 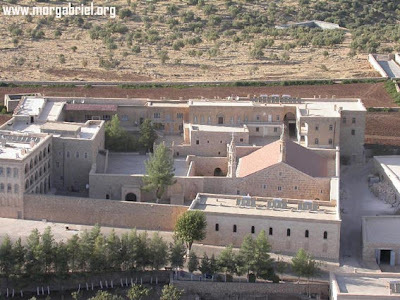 Demonstrations are being held in many European countries to save the monastery of Mor Gabriel, a spiritual center for the Syriac Orthodox community in Turkey. Founded in 397, it is the oldest functioning Christian monastery in the world. It is located on the plateau of Tur Abdin, “The Mountain of the Servants of God,” on the Turkish border with Iraq. 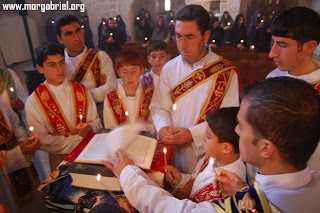 The see of the metropolitan archbishop of Tur Abdin, Mor Timotheus Samuel Aktas, with its three monks, 14 nuns, and 35 young people who live and study there, it is a religious and cultural point of reference for all Syriac Orthodox Christians, who still preserve ancient Aramaic, the language of Jesus. Every year it welcomes more than ten thousand tourists and pilgrims, many of them Syriacs of the diaspora in Germany, Switzerland, and Sweden. The ancient Aramaic language of Jesus is still taught and spoken at the monastery. 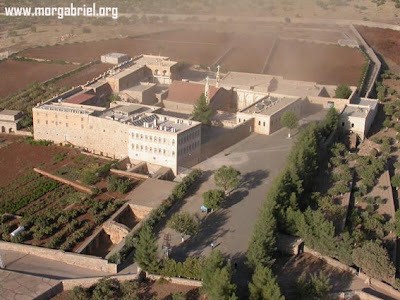 Mor Gabriel is the oldest functioning Christian monastery in the world.